It's all about archive goodness for today's "Risin' " session - easing the listeners into Easter Saturday morning with quality "back in time" stuff across the soulful, deep, broken and jazzy spectrum. Listen, enjoy...and a Happy Easter to all!! ...this morning's "Risin' " session is just a groove-fest from the off, starting off with some instrumental flava and just running from there with the usual Saturday morning goodness - however, with the news of the sudden passing of one of PressureRadio's regular listeners during this week, the show has become something of a bitter-sweet affair - I pay tribute to Richard Sanders in the final half-hour of the show, and I send condolences to his family and friends on behalf of all at PressureRadio. ...April rolls around, and with it, the sad news of the untimely passing of one of the true house music divas, Kim English, at the tender age of 48...such a sad loss of a woman whose vocals and songs were the true definition of uplifting soulful house - she has left a wonderful legacy, but will be sorely missed. This morning's "Risin' " session pays tribute, book-ending the final half-hour with 2 of my favourite tracks from her, along with the usual blend of early morning goodness...despite the gremlins that threatened to derail things, I hope you enjoy this session. ...a glorious springtime morning in London, and this morning's "Risin' " reflects the coming of sunshine and warmth - we hit the ground running and don't stop until the final half hour - and even though that's laid back, the quality of the choonage is still top-notch!! Enjoy this one, people - I did putting it together!! 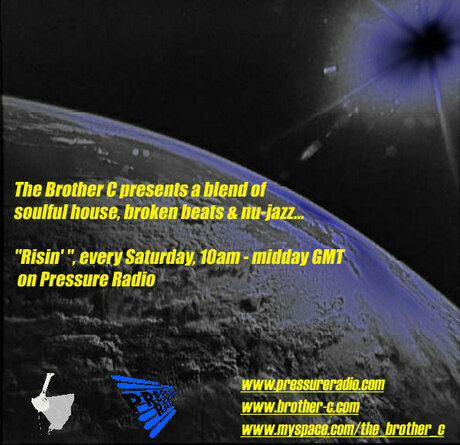 ...happy and celebratory vibes is the order of the day for this morning's "Risin' " session - this show's all about getting the Pressure Family in the mood as we converge on Bedford for tonight's Pressure Party alongside the Journey Men at Underneath...enjoy the goodness, people!! ...if I say so myself, this is a cracker of a "Risin' " session - I really hope you enjoy listening to this edition!! Goodness all the way for this morning's start to the Soulful Saturday Sessions - the mantra "the music speaks, so we don't have to" definitely applies for today's "Risin' " session. Do enjoy!! March is here!! This morning's "Risin' " just has a feeling of joy all over it - sweet n' soulful right from the off, a little dedication selection for the broken beats & nu-jazz session, and ending with some killer "Risin' Rinsage" - really hope you enjoy this one!! Many thanks to those that mailed me during to say how much they enjoyed last week's archive session - I'm pleased it put a smile on some faces!! We're back to the regular for this morning's session - some lovely, laid back nu-choon pressure to kick things off, future funk cuts for the broken beats/nu-jazz section, and ramping things up for the finale. Enjoy the goodness!! 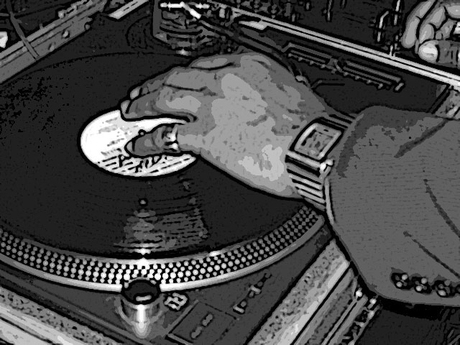 ...the Brother C comin' at ya - London/UK DJ spinnin' soulful house/broken beat/nu-jazz nuggets for the discerning masses... The Brother C’s theme has always been “it’s got to have soul” – as a funk, jazz and boogie DJ in the ‘80s and ‘90s, and as a house/broken beat/nu-jazz DJ over the past 15 years, that has been the defining factor for his live sets, shows and mixes. From MAW to Chillifunk, via Zoo Groove, Purple Music, Laws Of Motion, King Street, Shelter Records and nu- and “old school” remixes, that element is always constant. Stunning vocals to lift you up, with masterful instrumentation to carry you on that journey...simply put, tunes to make you move!! ...for the Brother C, Blaze, Jazzanova, MAW, Kerri Chandler and Bugz In The Attic are writing the next chapter of soul music’s evolution... 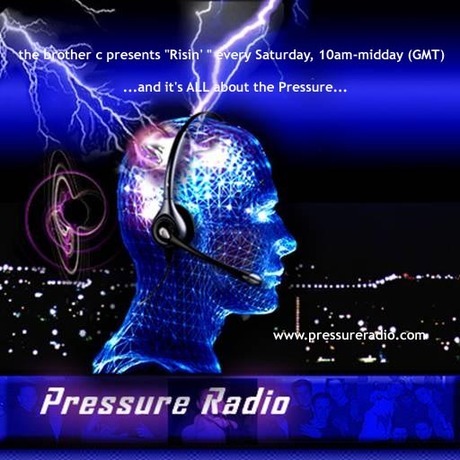 Check me out every Saturday, 10am-midday (GMT) for my show, "Risin' " on Pressure Radio (www.pressureradio.com)...where soulful, broken and jazzed-up niceness abounds!! 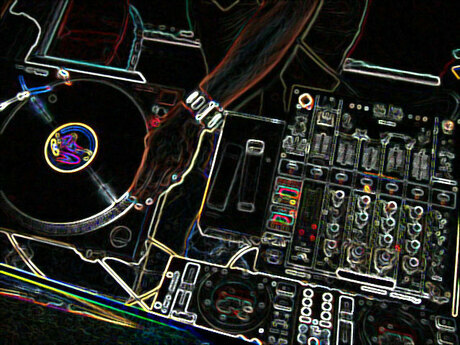 ...for more info, mixes or to contact me, visit www.brother-c.com! !